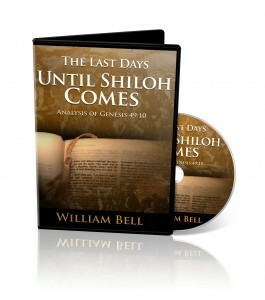 November 15th, 2010 10:46 AM | by William Bell | Eschatology. Who is the seed of Abraham? What is their inheritance according to the promise? Who are the descendants of Abraham after him and what about their inheritance? These questions sum up the entire bible in terms of God’s relationship with his people. The promise of deliverance from sin and death alluded to in Genesis 3:15, is carried through Abraham then more narrowly through Isaac and Jacob. While this text does not expressly mention the seed of Abraham it is certainly implied in that God would make of him a nation. At the time, Abraham had no children. Sarai, his wife was barren. Included in the promise of becoming a nation is the land and the promise that in Abraham all families of the earth would be blessed. The seed of Abraham must be inclusive not of one nation but all nations. Abraham complicated the promise by fathering a child through Hagar, Ishmael. As the older son, he was entitled to the inheritance. However, because of Sarah’s displeasure with Hagar, her bond-maid, and of Ishmael persecuting Isaac, (Abraham and Sarah’s younger son), God commanded Abraham to cast out Hagar and Ishmael. He did make some provisions for them to also become a nation, but the most important lesson here is that Ishmael would not inherit the promise with Isaac. See Galatians 4:30. Now it appears that all might be well to separate Ishmael, but God did not leave it here. He then commanded Abraham to slay Isaac and offer him as a burnt offering. What was God commanding Abraham to do? He ordered him to kill his only heir to the promise. According to Genesis 22:12 and Hebrews 11:17-19, Abraham did in “the spirit of obedience” offer up Isaac. This is a significant point regarding the seed of Abraham. This symbolic act of killing Isaac meant that he could not inherit the promise as the natural born or physical seed of Abraham. In other words, Isaac symbolically died before his father, and thus he had no right to the inheritance based on his genetic connection to his father. A dead man cannot inherit anything. However, by refusing to allow Abraham to commit the act, God symbolically raised Isaac from the dead. His life is no longer by the natural procreation of Abraham and Sarah, but he now lives solely by the power of God. “Concluding that God was able to raise him up, even from the dead, from which he also received him in a figurative sense.” (Heb. 11:19). What is the point here? Therefore, there is no longer a physical seed of Abraham to inherit the promise. This meant that no physical descendants of Abraham through Isaac or Ishmael had a right to inherit the promise. None are considered the seed of Abraham. Learn more about how the promise unfolds through Abraham’s descendants in our Last Days DVD Series, a five part study video presentation of one hour each with PowerPoint slides for each presentation. See part two of this study where we continue with “Jacob and Esau and the Seed of Abraham.